PEMBROKE PINES, FL — Boca Raton Football Club defeated Heights FC in the APSL Quarterfinals 5-1 on Sunday to move on in the APSL Playoffs. A brace by Gabriel Diniz, and Matheus Ayrolla, plus a goal by Carlos Meneses were the difference as the Boys in Blue were able to show their dominance over the expansion side, to move Boca Raton FC to the APSL Semifinals for the fourth year in a row. Boca Raton FC will now face South Florida FC in the APSL Semifinals as the club looks to head back to the APSL Finals and solidify their APSL dominance with their APSL-record third championship in four years. 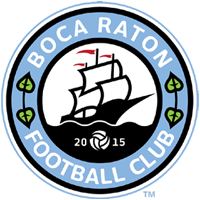 Boca Raton FC takes on South Florida FC on Sunday, August 5 at 5 pm at Broward College (7200 Pines BLVD, Pembroke Pines, FL 33024). Tickets are free, so come out and support your local team as they look to bring another trophy to the City of Boca Raton.